Classic shaker style with a timeless appeal. Match with pieces from the Cameo bedroom range for a romantic look. 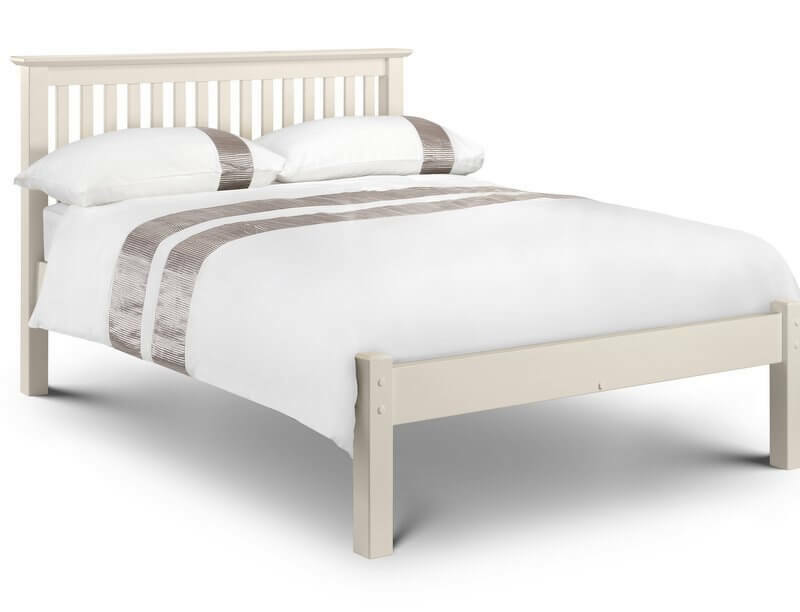 Construction: Bed frame made from solid pine and MDF with a wooden slatted base. Protected with a hard-wearing stone white lacquer for a lasting finish. Colour: Stone white which is an off white colour. Fits a standard king-size mattress not included. 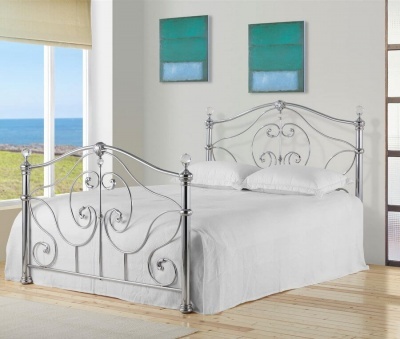 No need to struggle this bed frame is delivered by a two man delivery service to a room of your choice. If the delivery team believe that damage to the product or premises, or injury to themselves or others, may occur whilst delivering to your chosen room they will leave the goods in a safe and convenient place. Part of our stone white bedroom furniture collection.